We’re well on our way towards the Mystic Greenway vision - dozens of projects are in design and construction, from a brand new waterfront park with athletic fields to a shared-use path completing the missing link of the recreation and transportation network along the Mystic. MyRWA is leading four priority waterfront park and path projects, currently in the design and planning stages. To see the rest of the projects scroll to the bottom of the page. 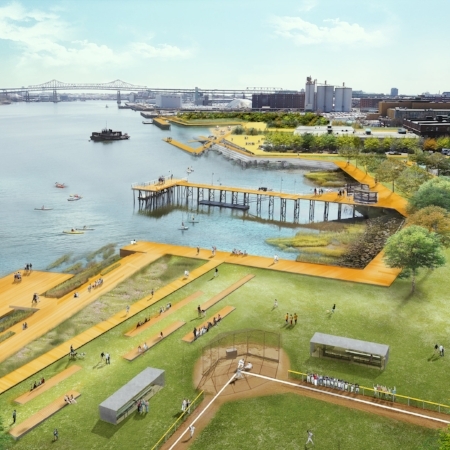 Somerville's Blessing of the Bay park is getting a comprehensive, community-driven redesign! A community-driven effort to connect Charlestown residents to the Lower Mystic River. A revitalized Wellington Park that opens up access and improves the ecological quality of Mill Brook. 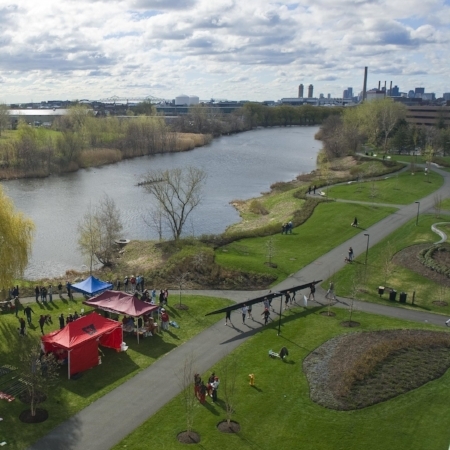 A shared vision plan for a waterfront park system along the Malden River, connecting Medford, Malden and Everett.